Metal Sniffer – Soft for Android 2018 – Free download. Metal Sniffer – Metal detector in your pocket. 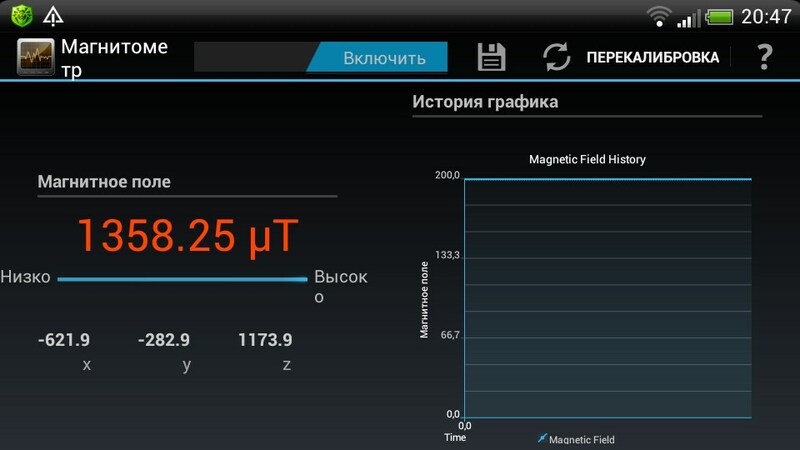 Metal Sniffer is a program that is due to the built-in Android-device magnetometer can turn your device into a kind of metal detector. With it, you can find ferromagnetic metals deposit to a depth of 15 centimeters below the surface. During testing, the program managed to find even a manhole, road builders accidentally rolled up 10-inches of asphalt. Magnetic alloys with this program you can look at the longer distances. Beyond the simple curiosity of the program can be found and more serious applications. For example it can be used to detect hidden under plaster in the walls of the wiring. 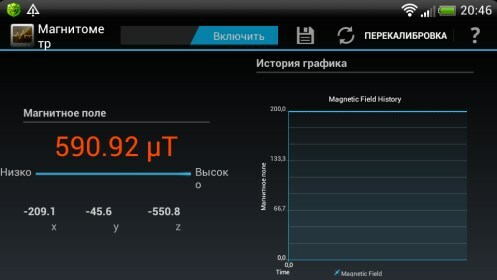 The magnetic field is measured in mT (microtesla), and you will find background information approximate data on the forces of magnetic fields that produce various household appliances, fusion reactors and even our own sun. Although, to be honest, after a few experiments showed that the application data table somewhat underestimated. 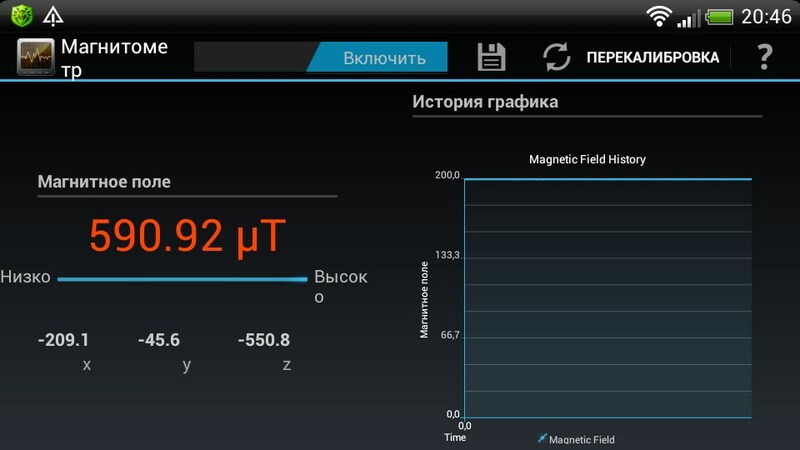 For example in the Help says that normal (not industrial) refrigerator produces a magnetic field equal to 5 mT (microtesla). In reality, reading next to the door were in the 180 mT. Microwave quite honored manufacturer altogether pleased with the figure of 270 mT. But all this can be called the flowers compared to the testimony of the program that display the magnetic field of LCD panels and cellular phones (the tests were conducted on the Samsung Galaxy S II and the HTC Sensation XE).